We were wondering about The Microwave Ovens Effect Pros and Cons and the Microwave Ovens Effect on human beings and the foods we eat. We gathered so much information on the Microwave Oven Pros and Cons that we could fill a book. There are somethings we discovered that folks should be aware of when it comes to Microwave Ovens. We’ll include in this article but to be fully informed, more study is needed to coin a phrase. Percy Spencer invented the first microwave oven after World War II from radar technology developed during the war. Microwaves are a form of electromagnetic energy. 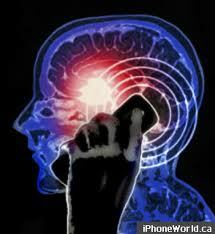 So is your cell phone, like having a little microwave oven next to your head? 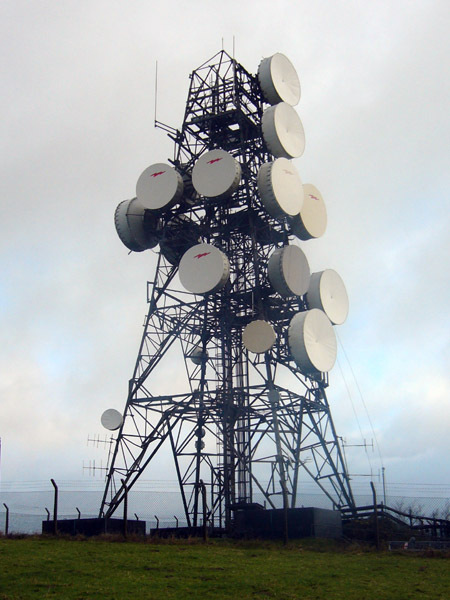 Electromagnetic radiation in the 1 mm to 1 m wavelength range (300 MHz to 300 Ghz) is referred to as microwave radiation, and is part of what is known as radio frequency (RF) radiation. RF radiation is non-ionizing radiation. Which means that, in general, it does not have enough energy to kick an electron off an atom thus producing charged particle in a body and cause biological damage. 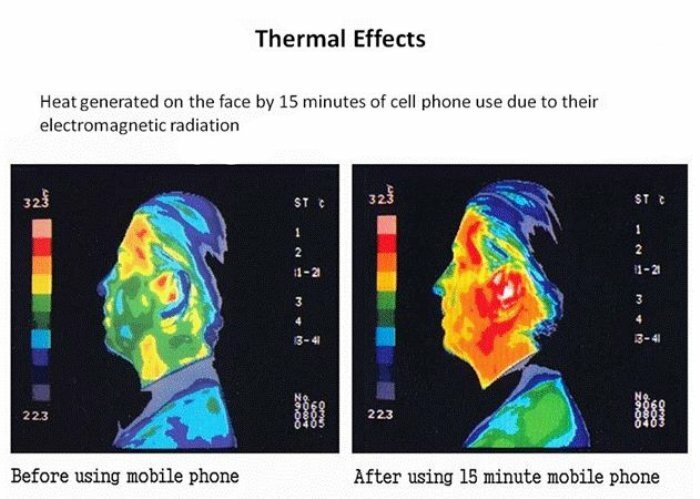 The only proven harmful effect from exposure to microwave (or RF) radiation is thermal. Thus, the depth of penetration and the level absorption of radiation in the body are relevant. Above 10 GHz (3 cm wavelength or less) heating occurs mainly in the outer skin surface. From 3 GHz to 10 GHz (10 cm to 3 cm) the penetration is deeper and heating higher. From 150 MHz to about 1 GHz (200 cm to 25 cm wavelength), penetration is even deeper and because of high absorption, deep body heating can occur. 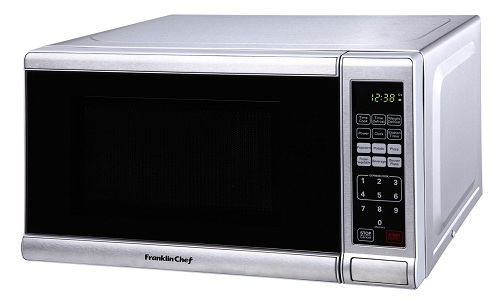 Microwave Ovens operate at close to 2.45Ghz. Microwave Ovens contains a magnetron, which is a tube were electrons are affected by magnetic and electric fields in such a way as to produce micro wavelength radiation at about 2450 Mega Hertz (MHz) or 2.45 Giga Hertz (GHz). This microwave oven radiation interacts with the water molecules in food. All wave energy changes polarity from positive to negative with each cycle of the wave. These waves change polarity millions of times every second. Food molecules, especially the molecules of water, have a positive and negative end in the same way a magnet has a north and a south polarity. Since microwaves are a form of energy. Any part of the body that cannot dissipate heat efficiently or is heat sensitive may be damaged by microwave radiation of enough power. 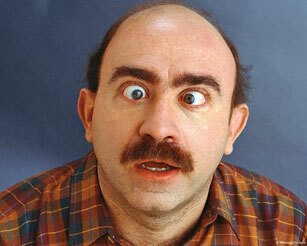 The lens of the eye and testes are examples. So guys, no more drying them out in the Microwave Ovens any more. They can’t take the heat. The convenience offered by a microwave oven is almost undeniable. 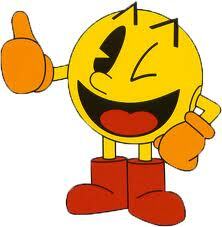 But there remains a level of skepticism, that using a microwave to cook food may somehow make food less healthy. Understanding how microwaves work can help. Microwave ovens cook food with waves of oscillating electromagnetic energy that are similar to radio waves but move back and forth at a much faster rate. Water is a polar molecule, so when a microwave oven cooks or heats up food, it does so mainly by energizing the water molecules, and the water energizes its molecular neighbors. So, as a general proposition, cooking with a microwave probably does a better job of preserving the nutrient content of foods. Are we dealing with probabilities here, or facts? As far as vegetables go, it’s cooking them in water that robs them of some of their nutritional value. The nutrient-rich water from boiled vegetables can be salvaged. Is steaming vegetables better? In some respects, YES. Steamed broccoli holds on to more glucosinolate than boiled or fried broccoli. But this is nutrition, and nothing in nutrition is simple, ever. Italian researchers published results in 2008 of an experiment comparing three cooking methods, boiling, steaming, and frying. Boiling carrots actually increased their carotenoid content, while steaming and frying reduced it. But let’s not get lost in the details. Vegetables, pretty much any way you cook them, are good for you. The microwave oven is a marvel of engineering, of convenience, sometimes nutritionally advantageous to boot. But raw is always best. Well to be honest frying vegetables is not the same as Microwaving them. But let’s not get too lost in the details. Right? Any cooking method can destroy vitamins and other nutrients in food. The factors that determine the extent are how long the food is cooked, how much liquid is used and the cooking temperature. Since Microwave Ovens often use less heat than conventional methods and involve shorter cooking times, they generally have the least destructive effects. So the theory goes. In studies at Cornell University, scientists looked at the effects of cooking on water-soluble vitamins in vegetables. They found that lost at about 77 percent when cooked on a stove. They also found that bacon cooked by microwave has significantly lower levels of cancer-causing nitrosamines than conventionally cooked bacon. The USDA advises that the key to avoid losing nutrients is by carefully handling and preparing foods. Water: Avoid soaking foods in water. Use as little water as possible when boiling, and incorporate the vitamin-rich water into other dishes such as soups and sauces. Steaming is preferable to boiling. Heat: Overcooking, high temperatures, or prolonged cooking are enemies to nutrients, especially vitamin C.
Light: Allowing foods to stand in open light for prolonged periods can destroy some vitamins. Like Milk. Light obstructing cardboard containers can help prevent this vitamin loss. Air: Exposure to air destroys vitamins A, C, E, K, and the B vitamins. To reduce vitamin loss cut and cook vegetables in big chunks so that less surface area is exposed to the air. Even better is to serve raw vegetables and fruits when possible. pH Balance: Do not add baking soda to vegetables when cooking because it makes the water alkaline and destroys thiamin and vitamin C. Salt in water will do the same thing. Microwave Oven cooking exposes most foods to less heat, water, and for shorter cooking periods, this means that fewer vitamins will be destroyed during cooking. By now, one probably knows that what you eat has a profound impact on health. The mantra, “You are what you eat” is really true. Eating most of your food raw is ideal. If you want it fast and cooked, your Microwave Oven will probably be used. It does save electric energy. When it comes to vegetables, adding water can greatly accelerate the loss of nutrients. Eating raw vegetables is always best. THE BOTTOM LINE: Microwave ovens generally do not destroy nutrients in food. Experimental and theoretical studies have shown that the microwave auditory phenomenon does not arise from an interaction of microwave pulses directly with the auditory nerves or neurons along the auditory neuro-physiological pathways of the central nervous system. A specific emphasis is placed on human exposures to wireless communication fields and magnetic resonance imaging (MRI) coils. The microwave pulse, upon absorption by soft tissues in the head, launches a thermoelastic wave of acoustic pressure that travels by bone conduction to the inner ear. There, it activates the cochlear receptors via the same process involved for normal hearing. Aside from tissue heating, microwave auditory effect is the most widely accepted biological effect of microwave radiation with a known mechanism of interaction: the thermoelastic theory. Are We Holding a Microwave Oven up to our ears? Research by NASA in the 1970s showed that this effect occurs as a result of thermal expansion of parts of the human ear around the cochlea, even at low power density. Later, signal modulation was found to produce sounds or words that appeared to originate intracranially. It was studied for its possible use in communications and warfare. The first American to publish on the microwave hearing effect was Allan H. Frey, in 1961. This study was accompanied by side effects such as dizziness, headaches, and a pins and needles sensation. A breakdown of the human “life-energy field” in those who were exposed to microwave ovens while in operation, with side-effects to the human energy field of increasingly longer duration. A degeneration and destabilization of internal cellular membrane potentials while transferring catabolic (metabolic breakdown) processes into the blood serum from the digestive process. Degeneration and circuit breakdowns of electrical nerve impulses within the junction potentials of the cerebrum (the front portion of the brain where thought and higher functions reside). A degeneration and breakdown of nerve electrical circuits and loss of energy field symmetry in the neuro-plexuses (nerve centers) both in the front and the rear of the central and autonomic nervous systems. Loss of balance and circuiting of the bioelectric strengths within the ascending reticular activating system. The system which controls the function of consciousness. A long-term cumulative loss of vital energies within humans, animals and plants that were located within a 500-meter radius of the operational equipment. Long lasting residual effects of magnetic “deposits” were located throughout the nervous system and lymphatic system. A destabilization and interruption in the production of hormones and maintenance of hormonal balance in men and women. Markedly higher levels of brain wave disturbance in the alpha, theta, and delta wave signal patterns of persons exposed to microwave emission fields. Because of this brain wave disturbance, negative psychological effects were noted, including loss of memory, loss of ability to concentrate, suppressed emotional threshold, deceleration of intellectual processes, and interruptive sleep episodes in a statistically higher percentage of individuals subjected to continual range emissive field effects of microwave apparatus, either in cooking apparatus or in transmission stations. Microwaving prepared meats sufficiently to insure sanitary ingestion caused formation of d-Nitrosodienthanolamines, a well-known carcinogen. Microwaving milk and cereal grains converted some of their amino acids into carcinogens. Thawing frozen fruits converted their glucoside and galactoside containing fractions into carcinogenic substances. Extremely short exposure of raw, cooked or frozen vegetables converted their plant alkaloids into carcinogens. Carcinogenic free radicals were formed in microwaved plants, especially root vegetables. Decrease in nutritional value. Russian researchers also reported a marked acceleration of structural degradation leading to a decreased food value of 60 to 90% in all foods tested. Among the changes observed were, Deceased bio-availability of vitamin B complex, vitamin C, vitamin E, essential minerals and lipotropics factors in all food tested. Various kinds of damaged to many plant substances, such as alkaloids, glucosides, galactosides and nitrilosides. The degradation of nucleo-proteins in meats. Microwave Ovens in the U.S.
Is it possible that millions of people are sacrificing their health in exchange for the convenience of microwave ovens? Why did the Soviet Union ban the use of microwave ovens in 1976? The answers may shock one into throwing their microwave oven in the trash. But wait there’s more. The rise of widespread nutritional deficiencies in the western world correlates with the introduction of the microwave oven. Is this just a coincidence? Maybe? Microwave ovens heat food through a process of creating molecular friction, but this is just simply, molecular friction. However, whether it quickly destroys the delicate molecules of vitamins and phytonutrients (plant medicines) naturally found in foods. More study is needed. Only one study showed that microwaving vegetables destroys up to 97% of the nutritional content vitamins and other plant-based nutrients that prevent disease. In other words, eating raw broccoli provides one with natural anti-cancer medicine that’s extremely effective at halting the growth of cancer tumors. However, there’s even some evidence to suggest that microwaving destroys the natural harmony in water molecules. Now that could be a problem as we are all composed of water. The common term of “nuking” your food maybe appropriate, depending on one’s point of view. 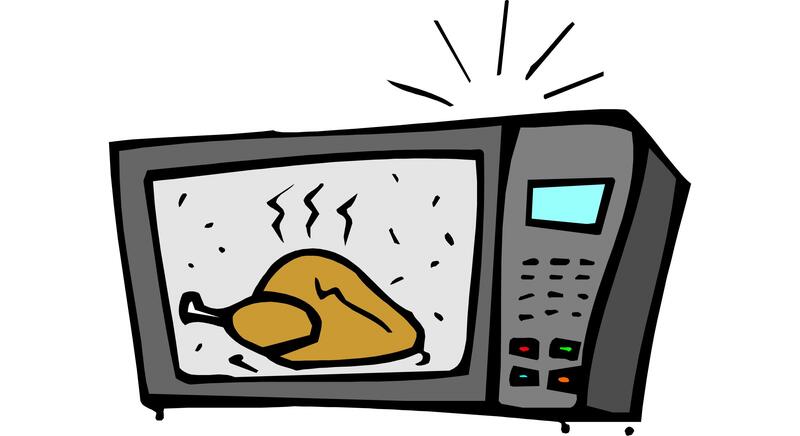 Using a microwave could be a bit like dropping a nuclear bomb on your food, then eating the fallout. You don’t actually get radiation from eating microwaved foods, however, the results are pretty much the same. Continually eating food processed from a microwave oven causes long-term, permanent, brain damage by “shorting out” electrical impulses in the brain (de-polarizing or de-magnetizing the brain tissue). The human body cannot metabolize (break down) the unknown by-products created in microwaved food. The effects of micro-waved food by-products are residual (long-term, permanent) within the human body. Micro-waved foods cause stomach and intestinal cancerous growths (tumors). This has been a primary contributor to the rapidly increased rate of colon cancer in the United States. Can do this to you? Is Microwaving More Dangerous than Heating with a Conventional Oven? Some experts claim that the effects microwaves have on molecules can all be explained simply as the “thermic effect” of heating, microwave cooking is no more harmful to food than conventional heating. 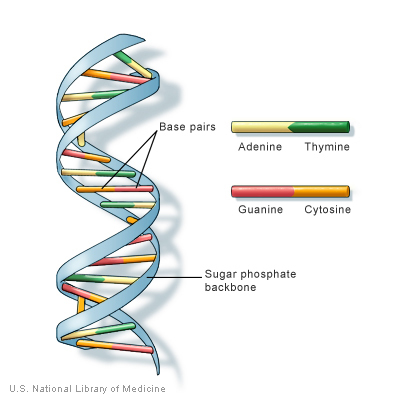 In a letter entitled “DNA and the Microwave Effect”, (sourced as Penn State University, 2001), the author reviews the history of the controversy surrounding the microwave effect and the research findings to date. Although fundamentals of thermodynamics and physics would tell you the microwave effect is impossible, studies keep turning up evidence of its existence. Microwaves are effective for sterilization, which has been studied for several decades. There is controversy, however, about whether it’s the heat they generate or if it’s something else altogether. One scientist (Kakita 1995) was successful in demonstrating that microwaves are capable of extensively fragmenting and destroying viral DNA, something that cannot be accomplished by heating alone. Some scientists are taking advantage of the microwave effect and using microwaves in the laboratory to greatly accelerate chemical reactions, sometimes by a factor of a thousand, resulting in the completion of reactions in minutes that formerly took days or months and a lot of toxic chemicals. 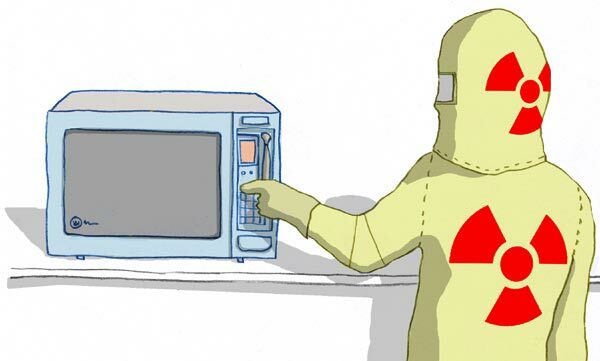 This newly found interest in “microwave chemistry” has spurred skeptic scientists into taking another look at what microwaves actually do and how they do it. Sometimes common sense trumps empirical evidence. One really can survive without their Microwave Ovens. People are living quite happily without one, believe it or not. You just have to make a few small lifestyle adjustments. Plan ahead. Take your dinner out of the freezer that morning or the night before so you don’t end up having to defrost it in the Microwave Oven. Make soups and stews in bulk, and then freeze them in gallon-sized freezer bags or other containers. An hour before meal time, then reheat it on the stove. Use a toaster oven or convection oven for heating up leftovers! Keep it at a low temperature, like 200-250 degrees F, and gently warm a plate of food over the course of 20-30 minutes. They can be built in or purchased as a relatively inexpensive and quick safe way to heat foods. Prepare your meals in advance so that you have a good meal available on those days when you’re too busy or too tired to cook. As one can see there are Pros and Cons to using Microwave Ovens. We Doowans just wanted to bring the information forward. Did we cook up some interest? The Microwave Ovens Effect Pros and Cons, What do you think?